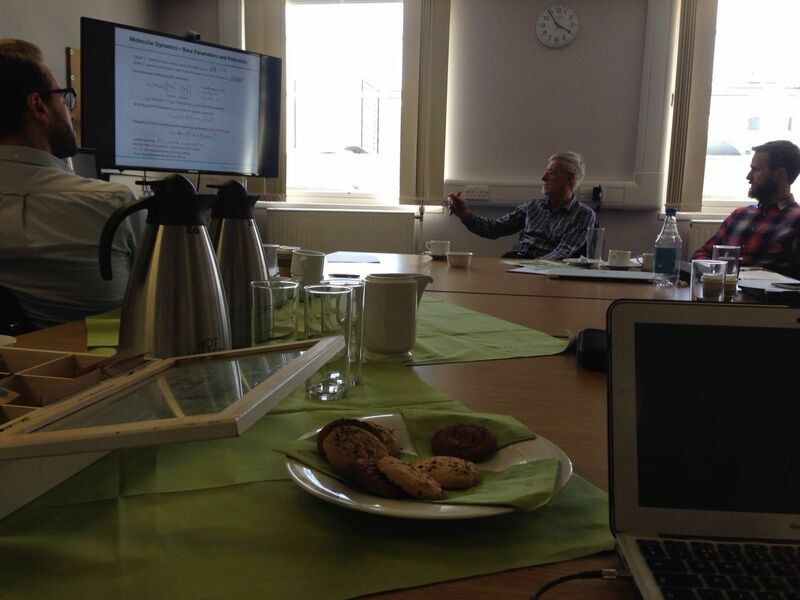 On Thursday 6th May, researchers from the Universities of Warwick and Edinburgh were joined by Prof. Terry Blake (Emeritus Professor at the University of Mons) for a workshop on the "Molecular Modelling of Interfacial Dynamics". 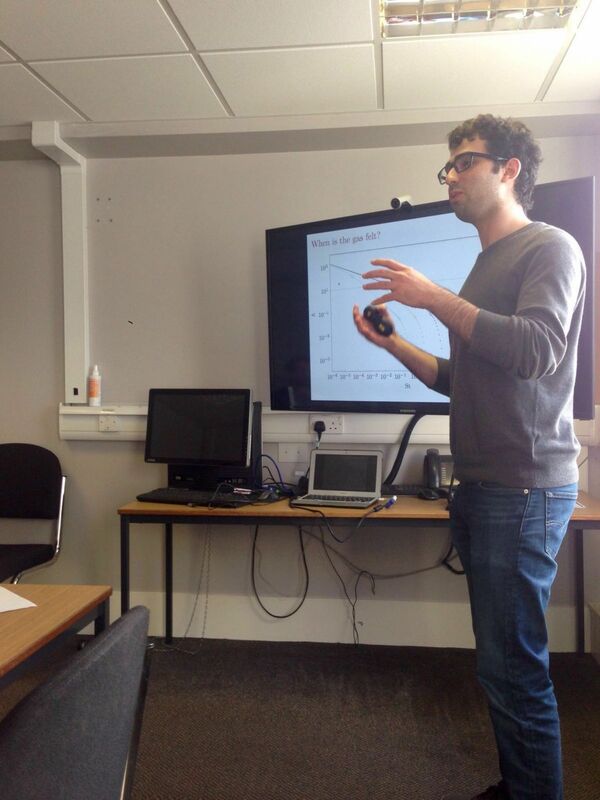 The workshop, hosted by Dr James Sprittles at the University of Warwick, provided a platform for discussing the prominent challenges involved in the simulation of micro-droplets and surrounding small-scale phenomena. Understanding the governing physics at fluid interfaces on the molecular level underpins a number of emerging technologies. For example, controlling the break-up and coalescence of droplets is crucial to the operation of 3D printers; understanding the wetting characteristics of droplets is important for producing uniform coating films which prohibit air entrainment; regulating the evaporation of solute-containing liquid droplets can reduce the damage to surfaces due to weathering; and understanding the fluid-gas interface near micro-structures such as carbon nanotubes is key for developing drag-reducing surfaces. 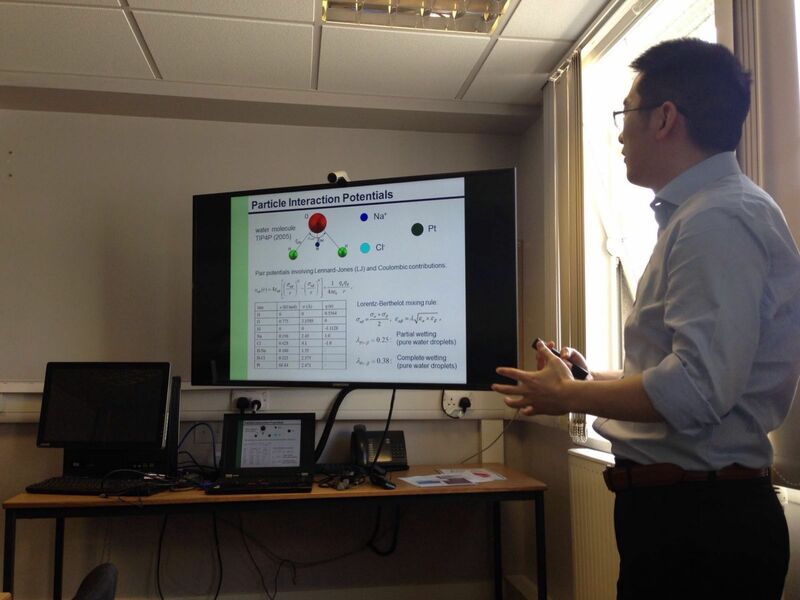 There were seven presentations in total, covering a range of topics from the fundamental physics of droplet break-up, impact, and wetting, to the use of multiscale methods and machine learning techniques to enhance molecular modelling capabilities. 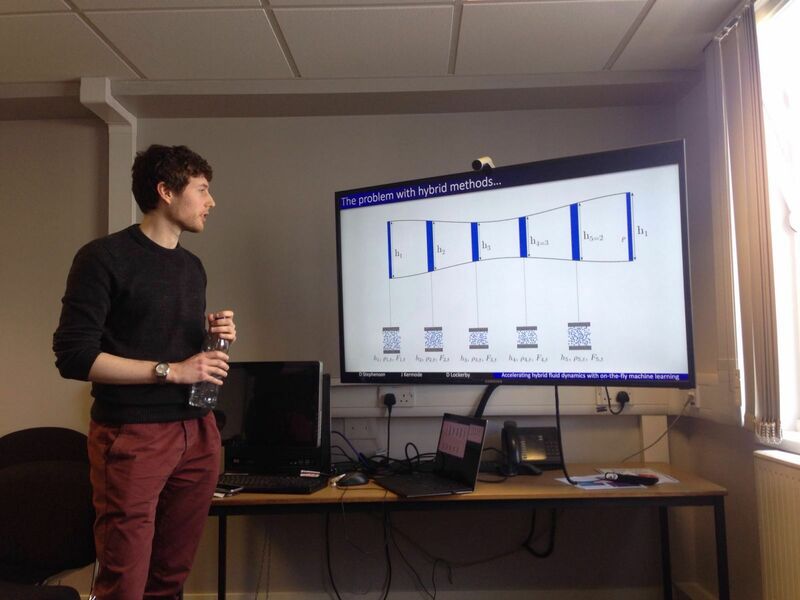 See below for the complete list of presentations, some of which were exquisitely captured by our official photographer (also James). Also, there were biscuits. This is important.